Yamaha XT 660 Z, 2008 - Budget Adventure Modifications. 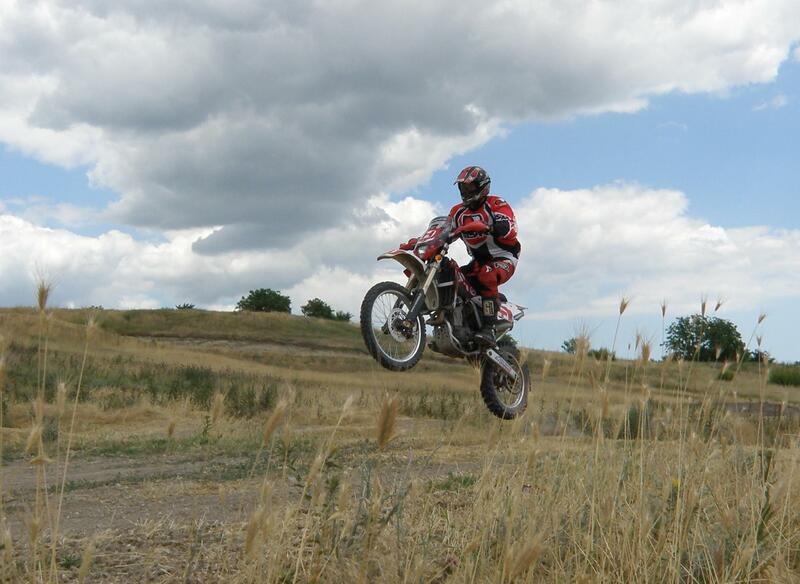 I used to ride Enduro bikes. I really loved it. The situation in my country became, I would say, "different". So, I had to move to Germany. Of course, I brought my bike with me with the idea to ride it. Yes, but no! and too difficult to do it, so I sold it. It was ok, no drama. I always wanted to travel and this bike was not good for that purpose. I decided to change some parts to make it more durable and suitable for use on any roads. Here is a list of the modifications I made. Forks are from Yamaha YZ 450 KYB. I changed the springs to stiffer ones. Triple clamp form the same model. I used the original stem, pressed it to the new clamp. A Modification of the lock. Some changes and a spacer required on the top screw. Excel wheel from Yamaha YZ. New brake rotor (disc) 320mm, to replace the stock two. Spacer required. New brake line, I think it was just a standard 110mm. Front fender from KTM 990 Adventure, some modification required to fit. Replace the stock 22mm with 28mm bars. Cut the tale, just left the metal holder and ripped off all the plastic parts. Mounted the indicators on the frame. New stop light, small, bought it from motorcycle goods store. New Exhaust SM Racing, 5 kg lighter. Power commander fitted under the seat. Change the seat with better foam. Side covers from Honda XR. 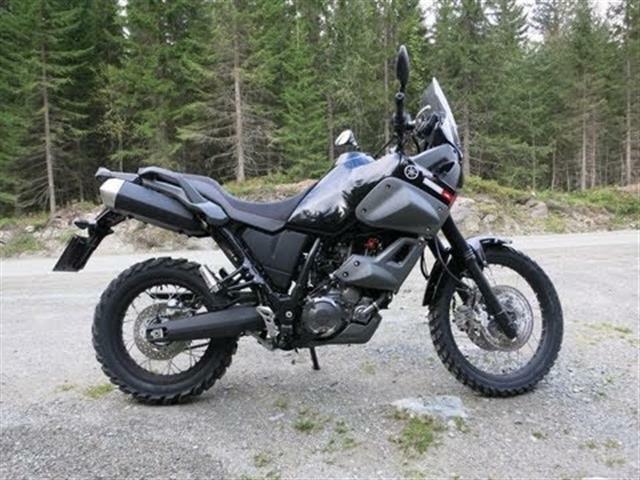 with a mount from the Tenere and welded them together. I made from two - one pedal. hitting the frame every time I put it into 1st gear; it depends on the position you mounted it. Bash plate I made myself. I couldn't find the one I needed so had no other choice. Bigger pegs, I bought cheaply from eBay - 10 $, made in China, and they work perfectly. became a little bit harder, but I like the feeling. I hope this information will help somebody! cost you any extra. I don’t feel as if you owe me anything, but if you buying the product, then why not? before, they have great customer service and I highly recommend them. Don't forget - Ride safe!